I explain that, by starting with targeting, they’ll focus their job search and personal marketing efforts on specific employers. With research, they’ll have the information needed to showcase why those companies need them, and how they will help those specific companies or organizations overcome specific challenges and meet specific current needs. With personal branding, they’ll be able to generate chemistry around who they are, what differentiates their unique value, and how they get things done. These 3 components will make my clients much better able to position themselves as a mutual good fit. Why doing those critical 3 first-steps will give you an advantage. Having done those first steps, they will also be much better able to penetrate the goldmine of so-called “hidden” executive jobs at their target companies. 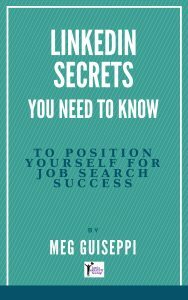 I explain the various kinds of jobs that are only found in the hidden job market, and stress that they are jobs that are never advertised, so they won’t be found on any job board. I also stress that the only way to access these jobs is by networking their way into those companies. Most of the time, they accept all this as fact, but they’re not very happy understanding that, to be successful, their job search will probably involve a lot of networking. They get it, but it sounds like so much work. They wonder if it’s worth it, and how it’s all going to come together. Sometimes I think I hear a bell go off. Suddenly it all makes sense that networking really is the best way to land their next great-fit gig. Why referrals are such a good deal for everyone involved. So you can see, companies are very much in favor of hiring referred candidates. Although they may not be well-known within the company, referred candidates are at least somewhat known. And people are more likely to hire people they at least somewhat know, than complete strangers. Beyond this comfort factor, each qualified referred candidate can save the company tens of thousands of dollars, over other hiring methods. Want some cold, hard proof that networking to referral is the way to go? 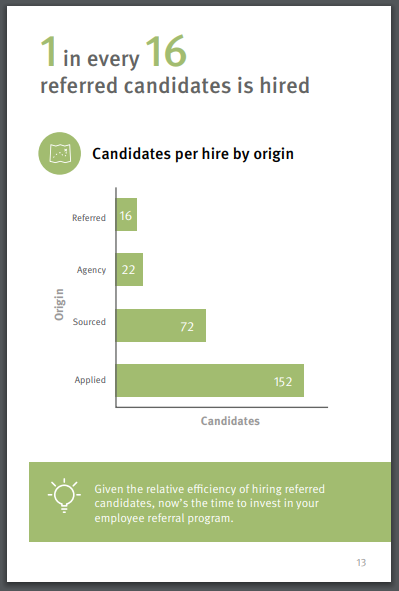 One in every 16 referred candidates was hired, compared to only one in every 152 candidates who applied and had their resumes land in an Applicant Tracking System (ATS). As Donna notes, that amounts to a whopping 10X advantage for referred candidates . 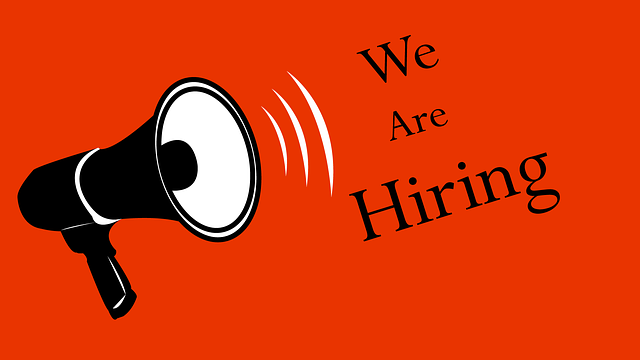 . . they are hired close to 10 times more than candidates who applied. I can only imagine that now an even greater percentage of hires come through referrals. 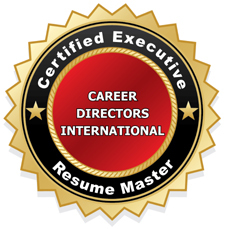 What’s so bad about executive resume ATS? ATS are another inevitability of responding to job board postings that so many of my executive clients are either unaware of, or don’t fully understand. 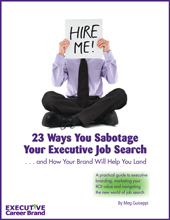 They wrongly assume that job boards are where they should be spending most of their job search time. To match candidates to jobs, the database sifts through the resumes and parses their content for relevant keywords put into the system, associated with particular jobs. The only resumes selected are those that are formatted in a way that the ATS can “read”, and that contain enough of the right keywords according to particular criteria. Resumes are not selected if they are incorrectly formatted, don’t contain enough of the right keywords, or don’t fit the bill in some other way. It should make sense that you want to avoid having your resume fall into the ATS black hole entirely, or until later in the hiring process, when you’ve become more than just another candidate in the sea of people applying. 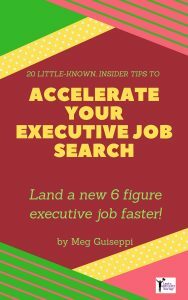 If you want to circumvent ATS (at least initially), accelerate your executive job search, and land better and faster . 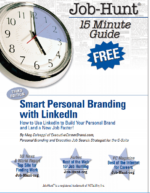 . . get to work networking your way into companies that are on your list of mutual good-fit target employers. How do you go about getting coveted referrals through networking? I know that networking is a stressful and daunting prospect to most people . . . something to avoid at all costs, even if it means prolonging their search. Typically, the main reason they find it so difficult is because they don’t understand what networking really is. They believe networking means asking people for a job . . . often people they don’t know. What are the most significant factors affecting your business today? How have changes in technology most affected your business? How has your business/industry been affected by the current economic climate? Describe what it takes for someone to be successful in this company. What are the qualities of people who perform best in this business? How do you think most of the employees would describe this workplace? If this company was known for 3 things as a workplace, what do you think those would be? Check out her article for all the great advice she offers.